Build in filters make it easy to query the geocaches. In the Library are folders for ‘My founds’, ‘Recently imported caches’ etc. 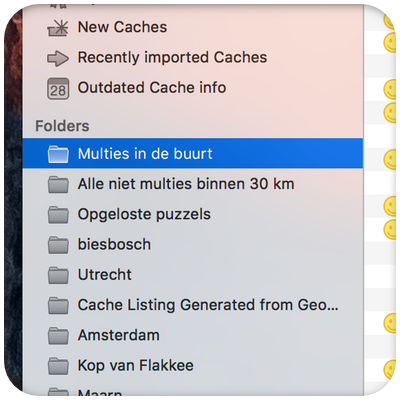 You can also make your own folders to group a collection of caches, e.g. for a cache journey. Drag and drop caches to and from Folders. Each cache only exist once in the database. 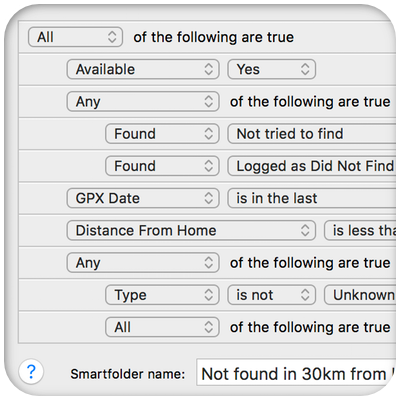 You can also create Smart Folders. These are Folders that are filled with Geocaches based on filter-criteria. 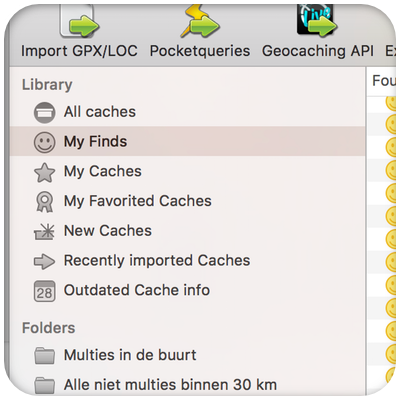 This way you can create a Folder that will contain all caches with, for instance, recent caches, not found and easier than 3 stars.